A “How to Guide” is paramount for any cleaning business. Do you have one? Any successful cleaning business has a Business Plan to ensure the roadmap is established. Just as when you are headed to a new location, having a map is critical. The easiest way to start the daunting task is to have a table of contents to serve as your initial outline. While important to ensure the business plan is being developed as a formal document, it should be designed as something YOU will use. 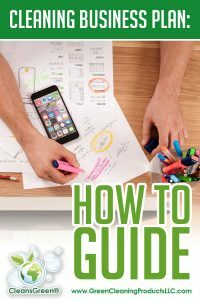 This plan is a great roadmap for you to the implementation of your next steps, whether you are in the start-up, maintenance, or expansion phase of your business. Additionally this document will be read by those unrelated to your business, oftentimes banks and/or investors. To accommodate the different audiences, there are a few characteristics to keep in mind while developing your Business Plan. Write the entire plan in third person where you are referring to the business as the owner of ABC Cleaning Company, i.e., do NOT use I, we, our, mine, my or any other possessive terms when writing your business plan. Additionally focus on accentuating the positives. As mentioned this is a formal document so it is valuable to have an unbiased professional colleague to review the document to ensure that you have good grammar, spelling, and syntax, in addition to avoiding then reframing words. Some common terms to avoid are: “wishing” or “hoping”. Also transformation “if” to “when”; “think” to “know”; “hope” to “will”, etc. This section appears first, but should be the LAST section to be written. It is presents the whole plan in a nutshell. The shorter the better, it needs to be clear, concise and easy to understand, and certainly not exceed two pages. Make it dynamic and exciting enough to capture the reader’s interest. More than likely your reader(s) will be investor(s). Understand that not everyone reads the rest of the plan or may use your Executive Summary to determine if they want to read more. This section is where the business is introduced in more detail. Define the type of cleaning business (residential and/or commercial services), company history, and the products and services provided (traditional specialty cleaning services (window cleaning, carpet cleaning, floor refinishing). Additional information to include in this section is location, key personnel, goals and objectives, strengths and weaknesses, as well as the mission and vision statements. Here is where the company’s legal and tax structure is defined, as well as identifying the shareholders, partners, investors. There are a number of good guides on the advantages and disadvantages of an LLC versus an S Corporation versus a C Corporation. Taking a bit broader and proactive perspective, it is also important to know how the work will be accomplished (even in a one-man shop). Understanding how the business is structured has a number of benefits. It helps build the company in a thoughtful way by forcing you and/or your leadership team to consider what positions you will need. It also creates clear responsibilities and roles when you begin hiring people to fill those needs. Finally, it will help you identify the types of skills you need in early employees and/or business partners. Identifying and presenting the key player(s) is critical. In addition to including a brief profile of all key partners and employees outlining their duties and experience and highlighting their relevant education, experience, and business qualifications. As many say in business, it is all about the people. There are many investors that judge and make business decisions more on the people than on the business numbers or potential. After all, given the same set of “crappy circumstances” two people will handle the situation differently where one becomes wildly successful and the other may fail miserably! Furthermore, this is an opportunity for you to complete a critical self-assessment of you and the team that your company has formed to determine if it is comprised of the right or best team members. If not, it helps you to identify who / what skills or characteristics should be added to beef up the team for future success. 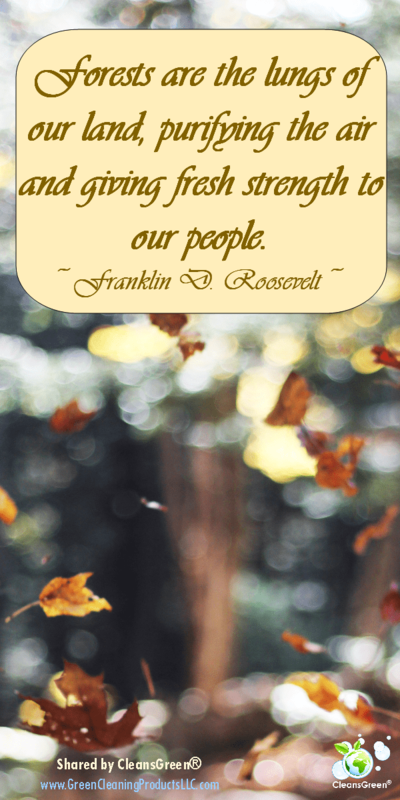 Just as Franklin D. Roosevelt stated, “Forests are the lungs of our land, purifying the air and given fresh strength to our people,” the key personnel are to heart of your cleaning company. In presenting the company, include the goals and objectives of your cleaning business where measurable goals are established for both the short term and long term horizons. This is to serve as the framework for an Industry Analysis. Coupled with goals a SWOT or “Strengths, Weaknesses, Opportunities, Threats” analysis is to be completed. While you want to, as mentioned above, accentuate the positives, it is just as valuable to be forthright and discuss any weaknesses and vulnerabilities of the business and what the plan is for mitigating or overcoming them. As mentioned previously, this document is as much an implementation roadmap for YOU as it is for others. The more complete that you can be in addressing both the pros and cons the stronger your cleaning business will be. The cleaning industry is humongous. There are so many opportunities to build a successful business on. Fortunately if planned and developed correctly, it is also reasonably recession-proof. Thus ensuring that it can be successful and long lasting, independent of economic conditions. As the saying goes “niche is rich”. As such it is better to focus on what you want to focus rather than trying to serve everyone with all products and services related to cleaning. Hence, your product description is the crux of your plan as this is where it becomes clear what your unique selling proposition (USP) is, what niche(s) you have selected to operate in. Once identified list the benefits of your services, not just the “what”. Describe why and what your advantages are over your competitors, as well as the volume that you can realistically do with the plan you are developing. Listing the current (and potential) contracts will help reinforce the claims that are included in the plan. Understanding the expected profit margin(s), as well as how those margins will be maintained through expansion and market fluctuations is critical in supporting the plan. Here you are helping you, as well as the reader, to realistically understand the potential threats (and opportunities) to the plan as laid out. Effective marketing is critical to the success of ANY business. There are so many “activities” that can be done, but without thought, a plan and designated strategy there may end up being lots of energy, time and effort that is expended, without the desired result. A proper marketing strategy and plan requires market research, understanding the competition and developing appropriate marketing and sales strategies for the business. How to Market Your Green Cleaning Business is an excellent resource for you. Market research includes knowing past, current, and future market / industry / seasonal trends, as well as the profile of the ideal customer. As the saying goes, the best defense is a good offense. As such it is imperative to understand, then plan, to overcome any barriers that may be in the way of your success. Those barriers may be geographic, competition, and/or the general economy. In defining the marketing and sales strategies, remember that a mix of methods is critical for success. This includes the use of various media, promotional methods, as well as one-on-one touches with potential customers. Having a handle on this will ensure you have positioned yourself for success. Although there are a gazillion details related to the suppliers, quality control, type of sales (retail, wholesale, direct sales), distribution, employees, required equipment and supplies, insurance, business licenses and permits, etc., to keep on top of, the most important is to have a solid understanding of the overhead costs – even to the extent of knowing what the breakeven point is and what / how changes to operations impact that. At the end of the day, the viability of the business culminates in the projection of income, expense, and cash flow forecasts. Even if the business will be self-funded this roadmap facilitates making sound management decisions now and in the future. Bottom line, when all of the calculations are complete is there a profit or loss? This financial information feeds into knowing what fund(s) are needed to proceed. Depending on what source you are seeking for your funds will dictate what type of data will be required. None-the-less, it is important to have a clear comprehension of the amount that is being sought, how it will be used, how it will be paid back, and how much of the company you are willing to release to an outside investor. Throughout the development of the Cleaning Business Plan loads of data is compiled and developed, for instance the financial statements, existing contracts, relevant letters of intent, cash flow projections, permits, market surveys, insurance, etc. This data is housed in the Appendices as support, backup and reference to the contents of the Business Plan. Upon your completion of proofing the Cleaning Business Plan, secure reviews and assessments from others. This could be a partner, an employee, an advisory board member, a spouse, a friend, or all of the above to flush out the details and ensure it is grammatically correct and it all flows as you intend it to. The final product must be comprehensive and must be professional. Green Cleaning Products is honored created and present this How to Guide for a Cleaning Business Plan for you as we want your business to be viable with longevity. 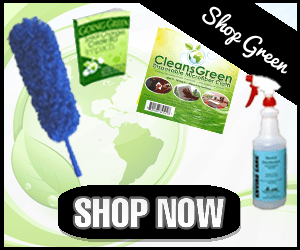 The CleansGreen® team wishes serve you for years to come with a variety of green cleaning products and supplies for your business. For businesses, it is important to keep the place clean. I don’t know about you but I wouldn’t feel comfortable walking into a business that is dirty. Of the things you listed, I think that the financial plan is the most important. Do be sure to make a budget and stick to that budget. You’d be surprised how easy it is to get carried away!